A person who was reported missing in a fire at an East Haddam home on Monday was found dead, according to officials. A man who was reported missing in a fire at an East Haddam home on Monday was found dead, according to officials. Firefighters reported to the home at 51 Ackley Cemetery Road for a structure fire around 3 p.m. and found heavy fire at the 2-and-a-half story wooden home. 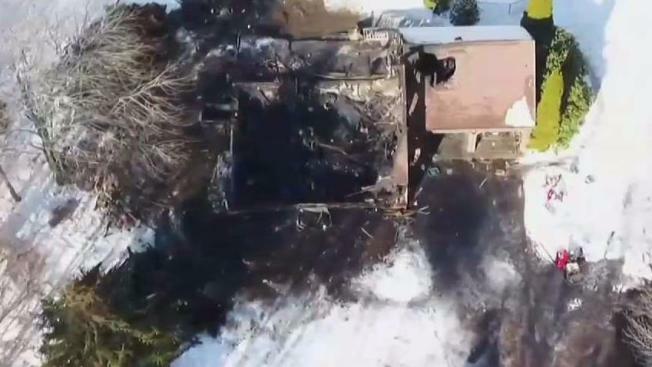 The family told firefighters that one person who lives at the home was unaccounted for Monday and firefighters found a victim, 53-year-old Thomas Rasimas, dead inside the home hours later. Multiple fire departments responded to the scene. State police are handling the investigation.